BIG data is a game-changing opportunity today for businesses in all industries. Most organisations understand the urgency and need to harness data and extract value from it to avoid being left behind in the rapidly growing divide within the data-driven business domain. But how? 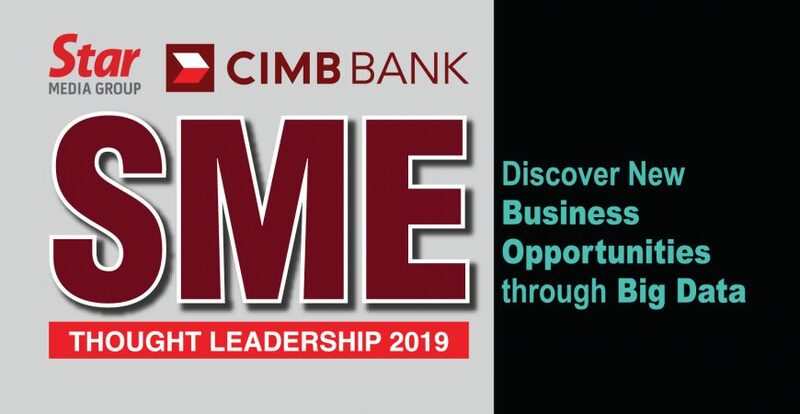 The Star CIMB SME Thought Leadership is Star Media Group’s latest initiative to help small and medium enterprises capitalise on data analytics in order to thrive and remain competitive within today’s world of big data through a series of inspirational talks, broad panel discussions and intimate networking sessions by successful key figures who have made their mark in their industries. Reinvent your business model using sustainable data analytics. Connect with the industries’ elite through the sharing of ideas and hard-earned experiences. Stay ahead of the game with invaluable insights and trends by industry luminaries to better navigate your future business directions. So, join us and be an integral part of our quest to success. Admission is free. So grab it while you can!